Get black and white or color caricatures today! These are from the Wizard of Oz. Can you name all the characters? Ask about our grand opening and block party packages! Ask about our balloon twisting packages! FDA-approved UV glow in the dark face paint is great for all ages, from kids to adults! Yes: boys love them too! A great, economic alternative to airbrush tattoos that last 2-4 days. Face painting is great for schools, soccer clubs, fundraisers, and other large events! Face painting for all ages and events--even costumes! Kaleidoscope is the official party entertainment of Hartford: caricatures and magic are a hit for block parties! Teens, tweens, and even adults won't feel left out of the party with our specialty designs! When only the best will do, call Kaleidoscope! Packages available for parties and events of all sizes! Cute skulls, scary skulls, skulls skulls skulls! Kenny the Clown twisting up a storm! Caricatures to put a smile on everyone's face! Airbrush tattoos and henna are great party additions for mixed age groups! 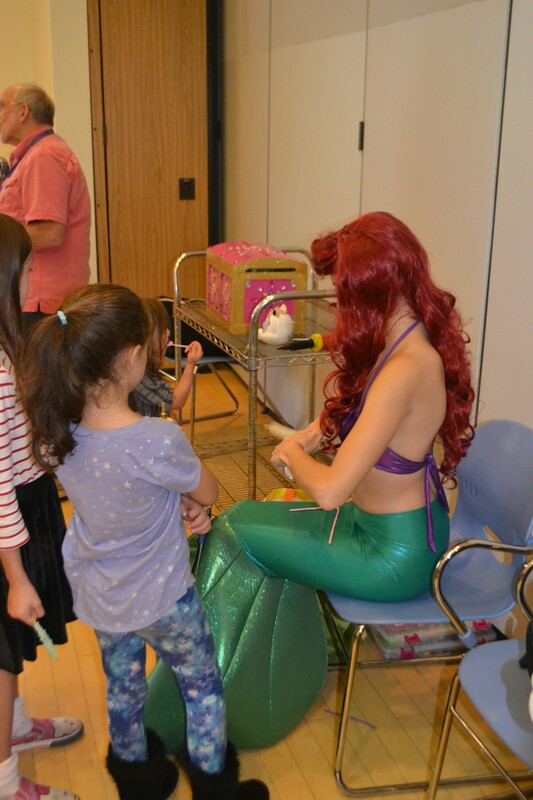 Fairy entertainers can do face painting, balloon twisting, glitter tattoos, games, and more! Kaleidoscope Design offers unique party entertainment for all ages and budgets! We specialize in face painting, balloon twisting, caricatures, henna art, body paint, stilt wakers and more! We can bring clowns, pirates, princesses, and entertainers to your event. WOW your guests with live art and entertainment! Update 2017- We also service parts of NY, NH, VT, & ME! The balloon artist/face painter we hired was absolutely amazing. Our guests were all amazed at how talented she was and she was so nice and professional! Would definitely recommend and will use this company for future events! Thank you so much for your kind words about Meg! She is truly a gift, and we're so glad you enjoyed her work! We can't wait to send Meg to you again in the future! Christine-The best of the best! Christine was a huge hit at our Fall Festival. From the moment she arrived at our event until it was time for her to pack up, there was a steady line of excited kids and adults! Her creativity, enthusiasm and the way she engaged with the crowd was fantastic. She was funny, silly and entertaining. I highly recommend booking Christine for your next event. You will not be disappointed. Hi Janey! Thank you so much for your wonderful review for Christine. She truly is the best of the best, and we're so grateful to have her entertaining on our team! If you ever need anything in the future, feel free to reach out! We have had Kaleidoscope Designs at our corporate summer party two years in a row and they are always the hit on the party. Their staff is so attentive, friendly, and fun and our employees have nothing but the highest compliments for the staff that comes to our parties. Littany was amazing! She gave each kid the individual attention they were seeking and all of her creations were incredible! She was super friendly and was always asking if there was something she could help with! The kids loved her. I would highly recommend her and her company! The octopus she made for my daughters party is still going strong 6 days later! Thank you so much! Hi Jillian! Thank you SO much for the incredible review. We're so glad Littany made your party extra fun, and that you loved her as well! We hope we get to see you all again soon! The kids all had a wonderful time! Hi Nicole, so glad you loved Kenny the Magician! Thank you for taking the time to leave such a wonderful review for him, we look forward to seeing you all again soon! Jim performed for us at our Town's Annual "Polar Express Movie Night". He arrived early and was very well received by all. Thank you Jim for adding a little something "magical" to our event!! Hi Travis, we're SO glad you loved James! He's truly magical, and we love having him as a part of our team! We hope to work with you again soon, as always let us know if you need anything! Hi Kathy, thank you so much for your review! We're happy the balloon twisting was a great addition to your party, and will check in about the face painting. We always strive to make sure every party has a 5/5 experience. Our balloon twister was very nice and the talented. We were a little disappointed though because many of the balloons kept popping. I think if there was a menu of what the kids could ask for that would have been helpful as well or if someone asked for a Tiger our balloon twister could have suggested something she could do if she couldn’t do that. However I will say she made a very special octopus that cake out very cool for the birthday boy. She was great with the kids and made fun and interesting shapes. Kids were blown away. Hi Chris! Thanks for booking with Kaleidoscope again! We're glad you loved Meg, she's SO talented! Amazing! Should up early to get set up and went above & beyond for the kids! Highly recommended! Hi Jaclin, thank you SO much for the lovely review for Olivia H! She's a treasure, and I'm glad you had a great time. Let us know if you ever need anything in the future, we'd love to send Olivia to you again! Haley and Chris were at our daughter's 4th birthday, and were fantastic to work with. Super creative balloon designs (ie an octopus) and the kids had amazing butterfly and tiger face paint. Arrived early, were super professional, and the kids loved it. Our daughter said it was one of the best parts of our party. We highly recommend. Hi Doug! I'm SO GLAD we could send Haley and Christian (Kenny) over to your event! We are truly so lucky to have such amazing artists, and I'm glad we could make your daughter's day so special! Let us know if you EVER need anything in the future, and we can certainly send our dynamic duo to you again! We had Jess at our large outdoor neighborhood party and she was wonderful! She showed up on time and immediately got set up and ready to work. We had to delay our party an hour due to severe storms in the forecast and she was flexible with the adjustment. Would recommend! Super professional. All the kids loved their face paint and the balloon art was phenomenal. Fishing rod with a caught fish was my fave! Hi Ankur! Thank you for leaving Victoria such a wonderful review! Hope to work with you again, soon! 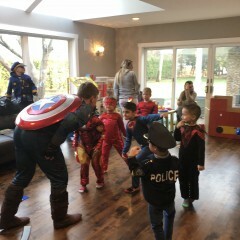 Great service at my son’s birthday party! 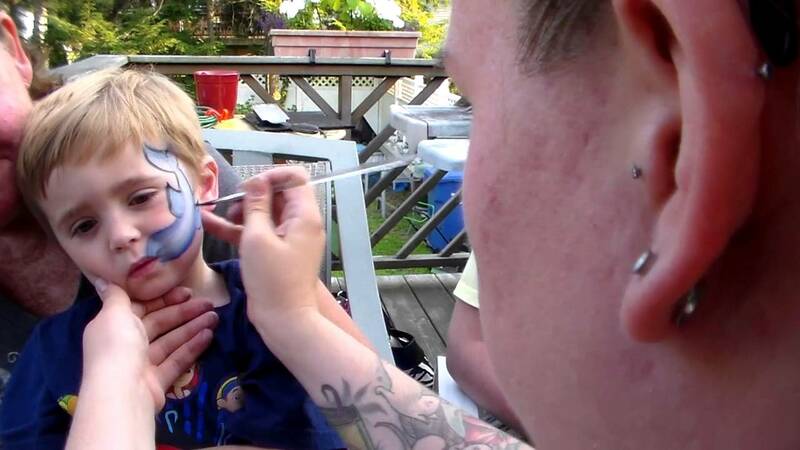 Sarah was excellent at our son’s birthday party with facepainting and balloon twisting. She catered to all of the guests and painted whatever they wanted (including a Pikachu, Bulbasaur, and a panda). Thank you for helping make the party a hit! Cinderella did great job entertaining kids. She was super friendly with Kids and knew how to handle them and keep engage in the activities. I'll highly recommend other to hire her. That was the best decision I took. It was all worth. Hi Asmita, thank you so much for the kindest review of Christine (Cinderella!) We loved getting to entertain for you and your loved ones, and hope to get to visit you again soon. The entertainer arrived late to the part. Amanda and Jenny were amazing! I can say enough good things. They worked as a team and the kids face painting was so cute!! Thank you for the wonderful review for Amanda and Jenny, Funmi! We had a wonderful time booking and working with you to make your party a great time. Please let us know if you ever need anything in the future, we hope to work with you again soon! We had April the clown for my daughters first birthday party. Christine was awesome! She did exactly what I wanted and kept all the kids entertained. She played games, did some magic tricks and painted faces. The kids loved her. My other two daughters both asked for her to come to their birthday. I would highly recommend using her for a party. Hi Sara, thank you SO MUCH for the kind words for Christine. She's the best! I had a ball booking entertainment with you, and am so glad you had such a fantastic time. We hired Kenny the magician and Haley for face painting for our sons 1st birthday party. Kenny was a true professional and amazing entertainer for the young children (and adults) attending our party. Haley entertained the children with her very talented face painting. Both were a pleasure to work with and would absolutely recommend and hire again. Many thanks to Kaleidescope Design! Hi Sarah, thank you SO MUCH for your kind review for Kenny and Haley! We had a blast entertaining for you and your loved ones, and you were a pleasure to party plan with! Christine amazed and entertained both adults and children! In fact, she was so mesmerizing, that 6 year olds stood patiently waiting their turn to watch what she was creating out of balloons next! There was no request for a balloon creation that any child made that she could not create. 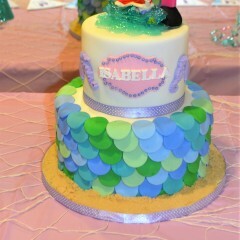 Her artistry, talent, and interaction with the guests, made for a very successful birthday party! Thank you Christine. Hi Betta, thank you so much for booking with us, and for loving Christine as much as we do! She truly is amazing, and does such a great job. I'm really glad we could make your last minute request so successful, and am so happy you enjoyed your experience with us. Feel free to reach out whenever you need anything at all! 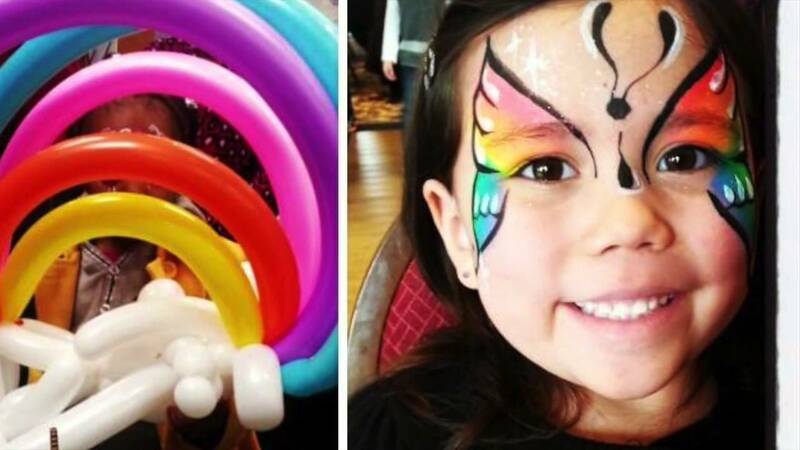 Christine and Su were the balloon and face paint artists for my daughters Christening reception and they were wonderful! Both artists were talented, professional, and hard working. The kids and adults at the party really enjoyed their work. I am so glad Su and Christine could provide so much joy and entertainment to an already very special day. Hi Acelyn, thank you SO much for the wonderful review. We love Christine and Susanna, and we're so glad you did too! I hope you had a beautiful christening, and hope to work with you again soon! Hi Jennifer, thank you so much for taking the time to leave Shannon a great review! 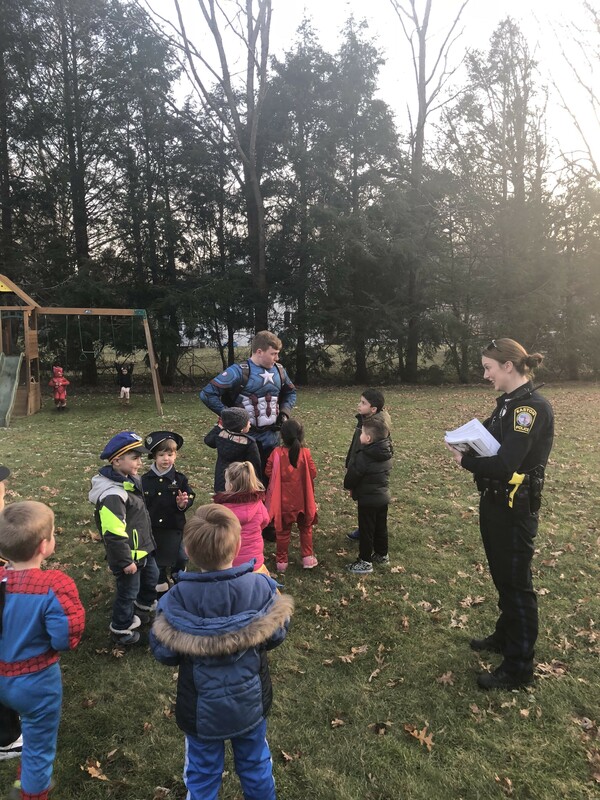 She had a blast with the kids, and we loved working with you. Let us know if you need anything in the future! Hi Rene! We're so glad you loved Susanna and Otto as much as we do! Thank you for the kind review, it was great getting to book with you, and hope to work with you again soon on your events! She was amazing, great personality! Hi Brianna! So glad you loved Sylvia. We loved getting to work with you, and hope to more in the future! If you ever need anything feel free to reach out. 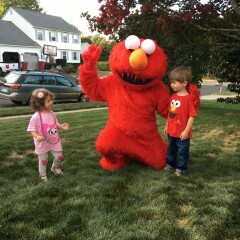 I had no idea what to expect when I rented Kenny, but the kids really enjoyed having him! He was nonstop entertainment for two full hours. He kept children and adults engaged which was a huge plus! Hi Judy! Kenny is our absolute FAVORITE entertainer! I cannot say enough wonderful things about him, and I'm glad you had a great time with him! We loved working with you! Jess and Christine were a hit at our party! Everybody loved the face painting!! They were a pleasure to work with, quick, easy going, and upbeat. This is our third time using Kaleidoscope with returning artists and we couldn't be happier! All the kids love there face painting. Thank you Sokhen! Let us know if you ever need anything in the future--- we would LOVE to send Desiree to you again! The Kaleidoscope Design team did an excellent job for our corporate family-friendly function. Christine and Kim did a fantastic job of balloon twisting and face painting, both of which were a hit with the kids in attendance, which in turn left the parents thrilled. Jessica was wonderful to work with in coordinating logistics. Could not recommend enough! Hi Maggie, thank you so much for the wonderful review! We loved working on your event, and can't wait to partner with you again soon for anything you might need! We loved our face painter and balloon twister - she was so much fun and when she got through all of the kids early, even brought out some glitter tattoos (which were a smash hit). She made the party and kept the kids busy enough the adults had a lot of fun too. Will be using you again! Thanks Janet! We hope to see you soon! Please let us know if you need anything! Amazing entertainment for the kids! 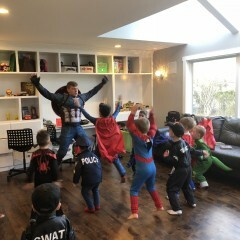 We hired Captain America for our super hero party of 30 kids. 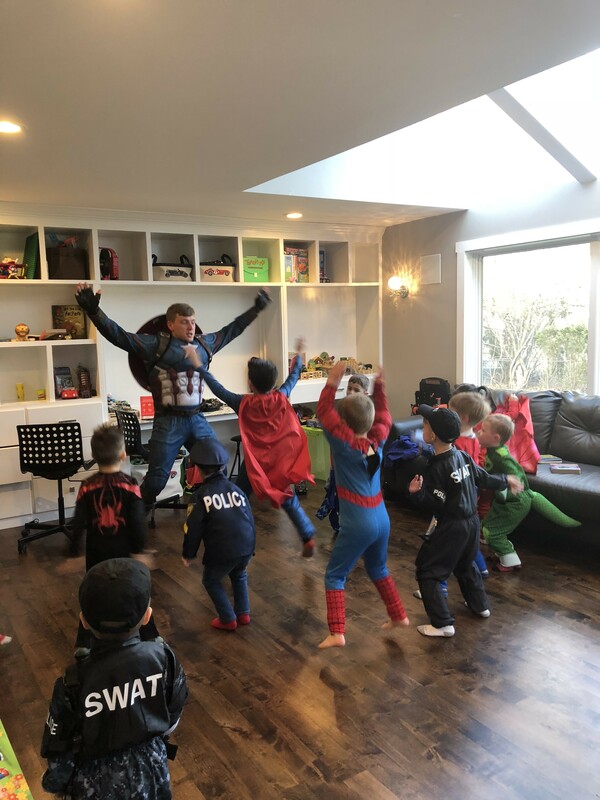 He was amazing, he organized all the kids, played games inside and outside and really brought what could have been chaotic into a great party. All the kids loved him and listened, played and it was great experience! Highly recommend! Hi Natalie, thank you so much for the great review of Captain America (Ryan!) He is such a treasure here, and we're so glad he could make your party so much fun! We can't wait to work with you again in the future! Kaleidoscope Design provided 4 artists for our recent and event and we could not be more pleased with their work! The kids were thrilled with their balloon designs and face painting. As the organizer, I was pleased with their communication prior to the event and the friendliness of the artists they provided. I would not hesitate to hire Kaleidoscope Design again for future events. Hi Nicole, so happy to see this today! I LOVED being able to book everything with you, and are beyond glad you loved Rachel, Kelsey, Kim, and Emma! Please let me know if you ever need anything at all, and we can certainly provide it for you. The entertainers were great. The kids really enjoyed having them their. They were on time and cleaned up when they were done. Very satisfied with their service! Hi Mike, thanks so much for your kind words about Amber and Ryan! I loved working with you on making your event super special, and am so glad they truly made the day! Let us know if you ever need anything in the future--- we'd love to work with you again soon! 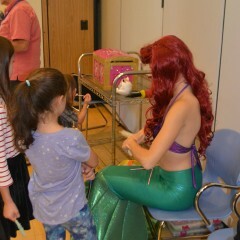 Princess Ariel was awesome, my daughter loved her and she entertained all the children, Thank you!! Thank you so much for the kind words about Natalie, and the BEAUTIFUL photos! The Balloon twister (Susanna) did a great job in creating great balloon twists and engaging the kids effectively. Kids loved the balloons. Hi Hari, thank you so much for working with us on your party last weekend! We love Susanna and are so glad you did as well. Hi Jill, thank you for taking the time to leave a review for Kim! We had a great time entertaining you and your loved ones, and hope to see you again soon! On time, very professional, friendly, and very helpful. Thank you Wendy!! We're so glad to have worked with you! We had a great experience. 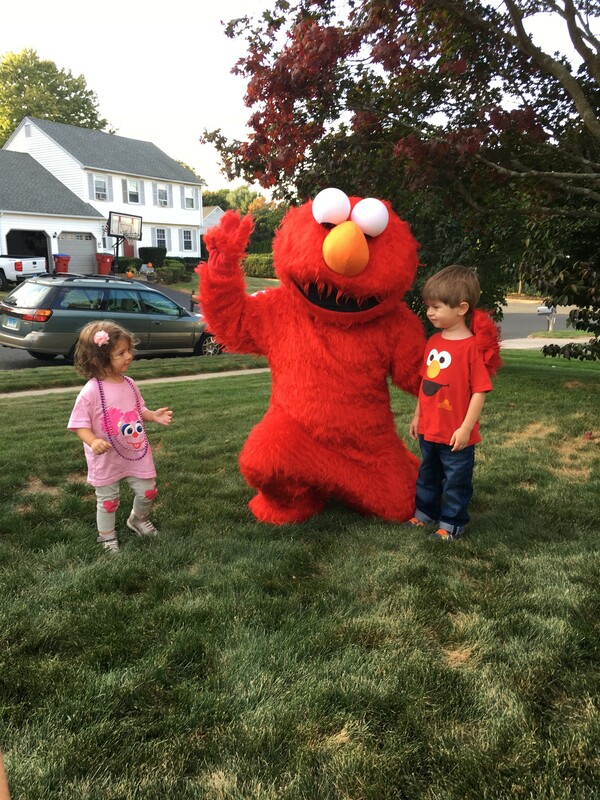 Elmo came for our son's 3rd birthday party and it was perfect. 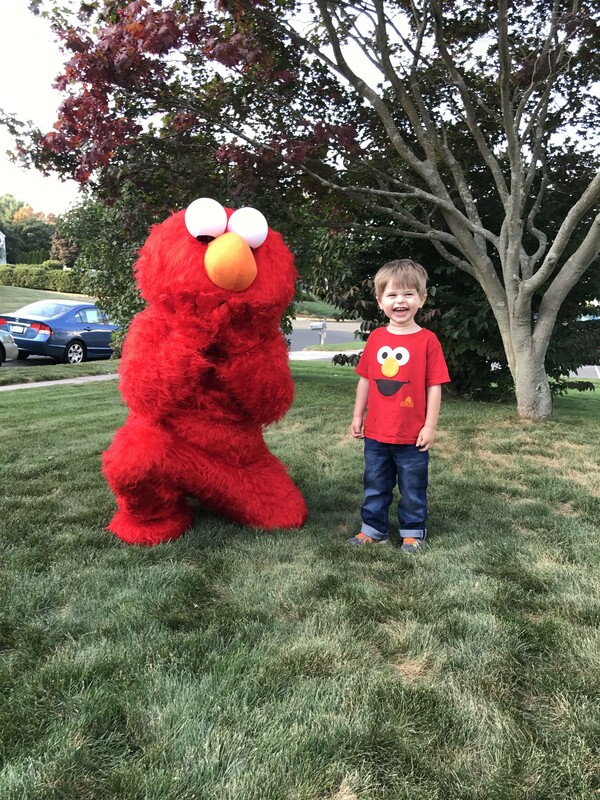 He had a great time, and Elmo came a little early to chat and get ready, he stayed for the agreed upon time, was very entertaining, and all went smoothly. Hi Kristen! 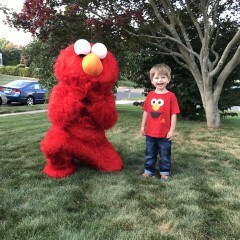 So glad you had such a great time with Elmo--- we're so happy to work with you and hope to see you again soon! April the Clown (played by Susannah) was fantastic! She had such a perfect disposition for kids and kids at heart. Her artistry was second to none- her face paintings and balloon twisting were phenomenal. (I had no idea you could twist a balloon into a monkey... or a cat!) She also left small balloon flowers on our dining tables after the event for my Residents to enjoy at their suppertime meal. Extremely thoughtful and great with people in general. Jessica was my contact in coordinating this event, and she was extremely prompt and helpful, and I liked that she emailed after the event to see how things went. This was my first encounter with Kaleidoscope Design, but certainly will not be my last-especially since everyone is requesting April the Clown back! They come highly recommended. My event was a carnival-like party for Grandparents' Day, so kids from 1-98 to be exact. There were other things going on like games, and a photo booth, and April kept busy! Very organized, neat, and kind. Hi Ashley, it was such a pleasure to work with you and I can't wait to plan more in the future! Clown, Magicians and Face Painters, OH YES! 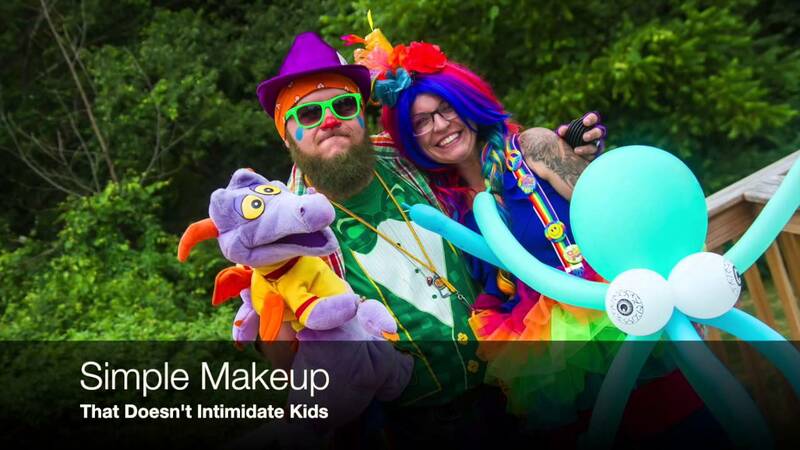 I am the Market Master for the Downtown Milford Farmers Market and have hired both Kenny the Clown and Mike the Magician and Natalie the Face Painter for several events spanning several years that I've headed up this operation. Kenny has been a whirlwind human and clown, showing intelligence, humor, playfulness, craft, and HUGE talent. 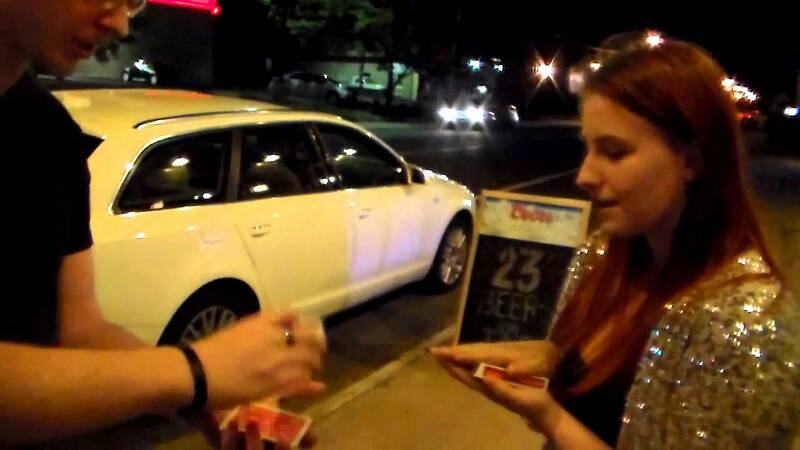 Mike the Magician is the same way but in his own beautiful and individual way. Natalie's energy and spirit and craft are unstoppable and I shudder to think what our humbled little market would be without her! I cannot say enough about these "characters" and you should take my word for it.. they are worth EVERY PENNY of EVERY MINUTE of EVERY ENGAGEMENT OF THEIR HIRING. Thank you Kenny, Mike, and especially Natalie! Hi Alex, thank you SO MUCH for this AMAZING review. We love working with you every year, and are so glad that you are blown away by our talented artists and entertainers. We put so much time and heart into every event that we are hired for, and I'm so glad you can see the dedication and love. You're so lovely to book with, and I look forward to many more years of partnership with you. Desiree was amazing! She was so great with the kids and kept them entertained. She did wonderful work. It was raining which we didn't plan for and she made the party still go off without a hitch by providing such fun entertainment. I would use her again in a second. Actually I will need to at my other sons party in April. Great job!!!!! Hi Emily, SO glad you loved Desiree! She's so wonderful and adds so much to every party she goes too! We had Amber come to my daughter's 1st birthday party to provide some entertainment for the kids. 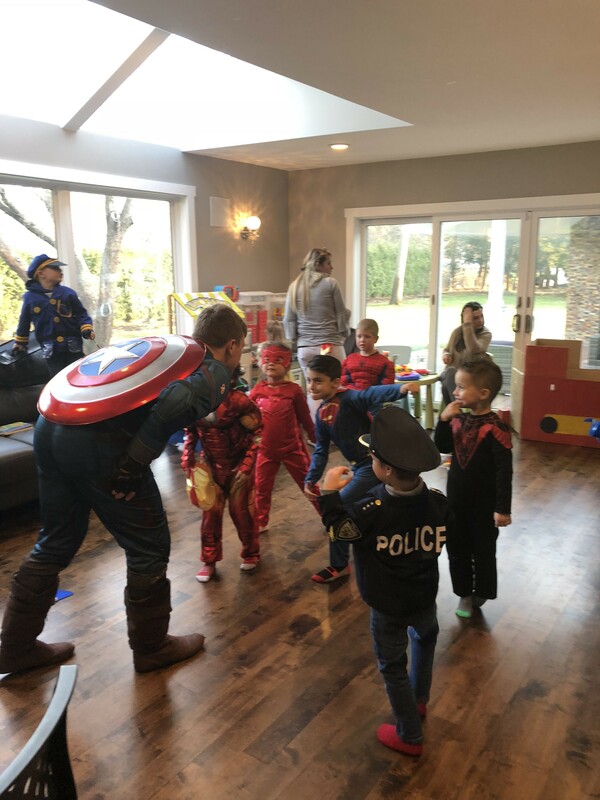 It was a backyard party & we had about 15 or so kids there, ranging from 1-10 years old and this was a great to keep them busy and having fun without consuming the party! Would definitely recommend. I loved booking with you, and can't wait to work with you again. Don't hesitate to reach out if you ever need anything in the future. We'd love to send Amber to you again! We had face painting and glitter tattoos. This was our grandson's 11 the birthday party. It made the party!! Kids of all ages loved it!! We definitely will use them again!! Face painter was very engaging with kids. Sample photos of face paint options would have been helpful. Most of the kids got the same design as others. Hi Lisa, we're so glad you loved your painter. We had a 300 person corporate event and people ranging from 3-60 were lined up for henna, balloons, and face painting. The staff was very professional, talented, and all around helpful. Melisa did a great job balloon twisting and face painting. Everyone at the party was very impressed! Thank you Melissa. Everything worked out well. The kids and families enjoyed the service. Thank you once again. Hi Jermaine, thank you for your kind review. We loved working with you--- so let us know if you ever need anything in the future and we can send Kristen out to you again! Tears of joy for Moana! I was looking for an entertainer for my daughters sixth birthday party and was so lucky to come across Kaleidoscope! Jessica and other office staff were fantastic to talk to and answered all of my questions about the different princess packages they offered. We decided that Moana would be a great fit and she was. 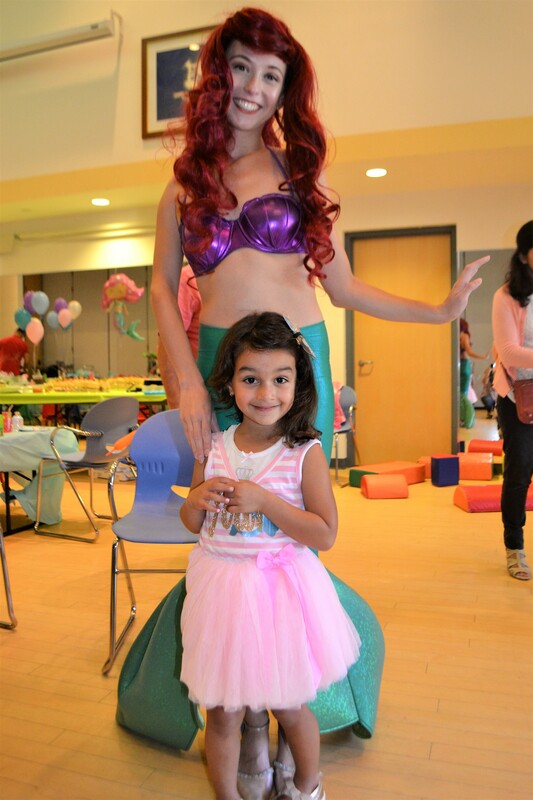 My daughter was so surprised and excited when Moana came to her party, that she cried tears of joy! Moana had a beautiful singing voice and even encouraged the kids to sing along. She even held a story time where the kids got to be involved in making the story! These memories will last a lifetime and will never be forgotten. Thank you Kaleidoscope! Thank you for having us, Amber! We love working with you and hope to again in the future! We hired a balloon twister and were VERY happy with her! Lots of fun designs, very nice with kids, and really fast. She finished early and ended up adding glitter tattoos which was nice. The face painter and glitter tattoo artist was so patient, on time and made our event that much more better. The kids loved her and have asked for her to come back. Thank you Kaleidoscope Design! Hi Nidhi! We are SO glad you loved your entertainer, and we're happy to help whenever you're having another event where you need entertainment! Jeanette is a treasure! The girls did an Awesome job. They were on time friendly and talented. Bravo! Jeanette was terrific. She did her face painting craft and each kiddo wanted more -- never got to the balloons! Thank you for helping Charlotte have a wonderful birthday. Hi Nigel, we are so glad we could send Jeanette to your event! She is so wonderful and we're glad you loved her as much as we do! Please let us know if we can ever send her to you in the future-- she does art packages as well as Princesses and other characters! Kaleidoscope was the perfect addition to our kid's party. Jeannette was a fabulous balloon twister and face painter. There was a line of kids waiting at her table throughout the party and she provided entertainment for all ages attending. Thank you! Hi Courtney, we're SO glad you loved Jeanette! I'm so glad we could send her over to your party, and glad everything went fantastic. Please let us know if you ever need anything in the future, we'd love to send Jeanette to you again! She was amazing and very patient with the kids! Batman came to our public library and WOWED the kids! Ryan was awesome in character and was exceptionally good at engaging the kids and capturing their attention. He was absolutely fabulous and I would highly recommend this superhero program for any venue. Thank you so much, Karen! We love working with you all every year and would gladly send Ryan to you again! 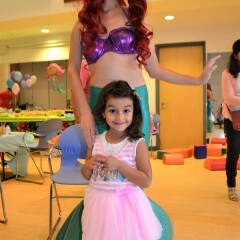 Lily's 6th Birthday Bash was a BLAST! My six-year-old daughter, Lily, cannot stop talking about her face painting and balloon twisting birthday party. The artist (I cant remember her name) was extremely talented, creating all sorts of balloon animals and a wide variety of faces. The artist was always smiling and patient with the kids. She even allowed my daughter to have her face painted twice. The party went smoothly and the artist really helped to take a load off my shoulders by keeping the kids and many of the parents entertained. I passed along Kaleidoscope's info to a couple mom's at the party who were considering adding some fun to their child's party. I can't wait until my son's birthday in the spring. I wont hesitate to call Kaleidoscope! Thank you so much, Christine! I will definitely look forward to working with you again soon! My company's grand opening had an amazing turnout, largely due to the engaging and friendly face painters from Kaleidoscope. Not only were they incredibly friendly and fun with the kids, their designs were very unique. I would recommend them to any business looking to draw families in a fun, new way. We were undecided about whether or not we would have our party this past weekend due to Hurricane Hermine. When the weather turned out to be sunny on Sunday I texted Kaleidoscope to see if they could still send someone. Not only did they find an amazing balloon and tattoo artist (Melissa), they saved the day. They were responsive, professional, very pleasant and great w kids. We had about 25 kids (ages 6 - 12) and they were lined up for their glitter tattoos and balloon figures. It was great! My daughter still has her adorable balloon cat and butterfly tattoo. So many moms are asking me: where did you find such a great party attraction? Thanks Kaleidoscope and Melissa!! Hi Laura, anytime you need anything just let us know and we can send you one of our superstar artists! We had a great time working with you and are happy we could "save the day" when Hermine came in less aggressive than expected!! I hired Batman for our son's birthday party and he was terrific! He kept the kids fully engaged the entire time he was with us, and when it came time for him to leave the kids did not want to let him go. My daughter had her 5th bday and we surprised her with Elsa and Anna. These two princesses did an amazing job. Not only did they act just like the princesses but they actually knew how to sing, dance and so face painting. So talented and would recommend them to anyone!! 5 stars!! Thank you Poonam, we so enjoyed getting to entertain for you! Royal Beats DJ Services has worked with Kaleidoscope at several different events as their DJ. From the booking process until the end of the party the entire staff is professional, fun, & talented! They really do it all! You won't be disappointed when you hire these Party Pros! Our daughter is obsessed with super heroes (I don't know how we never really watched the movies together or anything) so we had SuperGirl come to our party for face painting. I wasn't really sure what to expect ("Isn't this a little much for a 3 year old girl?" I asked my husband) but SuperGirl was the PERFECT mix of girly and tough. My daughter followed her around like a puppy the whole time, and SuperGirl was so patient. They played a few little singalong games with the toddlers which was fun, plus face painting. (In retrospect, I wish we had done balloon twisting, but it was still great.) When SuperGirl left she made them all take a "pledge" to be brave, kind, and honest no matter what. I've gotta say, it was pretty cute. It was the right mix of girly and tough, and SuperGirl was SO PRETTY and her costume was so cute, but she was still pretty tough like a super hero. Even I got pretty star struck! Thank you so much for the review Sara! We have plenty more Heroes and Heroines and would be happy to have them fly in for your next event! Talk to you soon! My niece was thrilled, and definitely surprised, to see Elsa & Anna show up at a special family party. The girls were so sweet & wonderful with the kids, spent lots of time, and sang beautifully. Kaleidoscope Design was a pleasure to work with, very accomating and everything went smoothly from beginning to end. We can't thank you enough! Thank you so much! We're always so happy to make someone's day, especially as a fun surprise! I booked the cat and the hat for Jan 9th 2016. The character was right on time. We set her up at a table with acouple chairs. And once we finished lunch, they children flocked to her. I chose balloon animals as the activity and she was AMAZING! The children were enthralled and the adults were shocked at her creations. She was very professional and did a phenomenal job. I certainly will go with Kaleidoscope for my futures entertainment needs! Thank you for the wonderful review!!! We cannot wait to work with you again! Have a wonderful 2016! Cinderella made my daughter's dream come true! This was the best party by far! She was amazing with the kids so kind patient and fun! Thank you so much! Parents if you're looking for great entertainment definitely contact them! Thank you so much! We love what we do and we're glad you do as well! 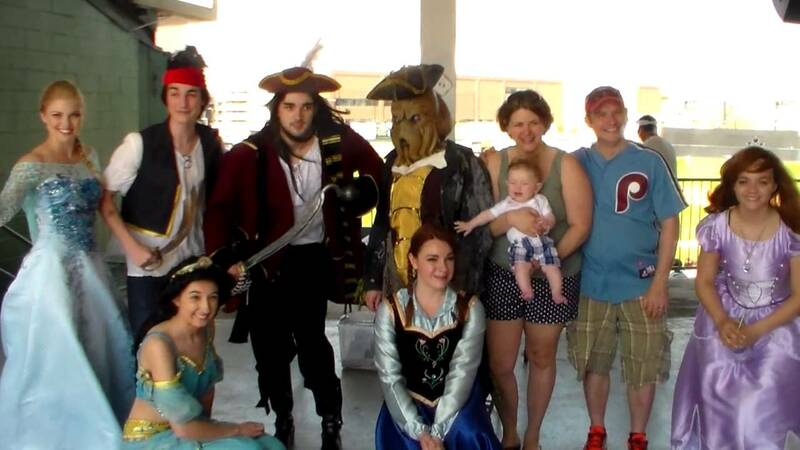 I had the pleasure of working with Marissa and her super talented team for my nephew's pirate event! Joe came out and did an amazing job as the pirate! 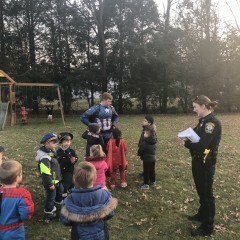 He did a fun treasure hunt with the children and made sure no child was left out! It was wonderful! I definitely recommend him! I arranged for a pirate to come to my 4 year olds birthday party. I had the pirate toddler package whic I was under the impression included more than the balloon swords, one game, and one treasure hunt that lasted five minutes. The pirate was a very nice man but had no experience working with toddlers. He was not engaging at all. I was asking him what was next and I had to get the attention of the kids. I do not feel that for 1.5 hours and paying $275 not including the tip, that I received my moneys worth. I will never use this group again and I would suggest looking elsewhere for a pirate. I worked with Marissa from my home in NH to arrange to have Lonnie do caricatures at an end-of-season pizza party held by the coaches, girls, and parents of the Minnechaug freshman basketball team. One of the coaches is my father who was celebrating his 85th birthday. It was so easy to arrange, Marissa was very helpful. I got excellent feedback from my mother who said the girls, their parents, and my father had a great time and that Lonnie does excellent work. I highly recommend this company! I had Amanda and she was awesome not only great with the kids she was extremely patient and very friendly. She and her company were exactly what I was looking for thanks to gig for hooking us up with kaleidoscope! Great girls! They were wonderful and all the kids looked adorable. Thanks Sabrina! Lonnie and Nina told me they had a blast and everyone loved the jumbo balloons, so keep us in mind in the future :) We'd love to come back and entertain at your party again! We had Marissa (the owner) come to paint the kids and do balloons for them. The photos don't do her justice--she did exactly what ever child wanted, and her balloons were amazing. I've never seen someone twist balloons like that before! My daughter (birthday girl) wanted to be a princess butterfly, so Marissa painted her face and gave her butterfly wings to wear and a flower hairband. It made them all feel so special! Would recommend to anyone and very good price compared to everyone else I was looking at. Got caricatures for my daughter's Sweet Sixteen (Candy Land themed!) and the caricatures were awesome. The girl (I forget her name--I think it was Lonny?) was so fun and sweet to all of the guests, plus her drawings were wonderful! All the kids were tagging themselves on Facebook and we got one of our whole family to frame on our wall. I wish we had gotten these done years ago, but we're excited to bring her back when my son turns 16 in three years. I think we might have started a family tradition!!!!!!! Showed up ontime. Quick set up. Very good with the children. 7 year old Birthday girl said it was the best party ever!! We even had parents say it was a great idea. One parent even called and said her 2 chilcdren said it was the best party they ever went to. Balloon designs were awesome! Would definately use again! Thanks dear! You guys were so sweet I had a great time too :) Would love to come back next year! Amazing - kids and parents were all impressed! Amazing work and delightful spirit! We'd recommend Kaleidoscope to anyone! 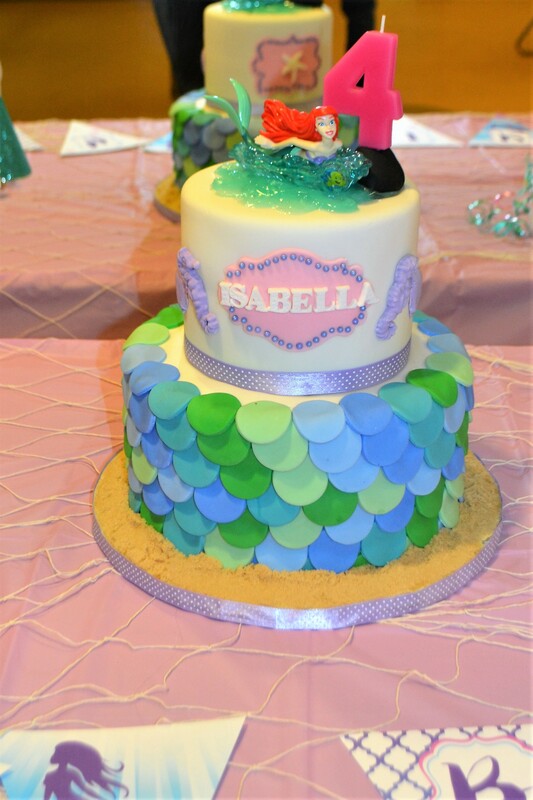 Quick and friendly communication, wonderful artistry and a great addition to our party! Thanks dear! Your daughters and their friends were so wonderful :) We would love to come back and entertain again! On time and the kids loved the face painting. Thanks. !! Price Range: $200 & Up. 1. All "paints" are actually FDA-approved makeups. Ask a face painter what kind of paint they use, and if they say acrylic, temperah, or anything other than makeup--run! These can lead to stained skin, rashes, allergic reactions, or worse! Our make ups are similar to heavy foundations or liquid eye liners, which are safe for all ages. 2. We hold ourselves to the Canadian health standard--the highest in North America! This means we only use one sponge per person, and are constantly washing our brushes in anti-bacterial water. We want to make sure your family stays healthy, and no germs go from kid to kid! Ask our competition what they do for sanitation. 3. All of our staff are formally trained artists or child-care workers. You'll never have someone come to your party who isn't in love with art and kids! Your party-goers will get out of our face painting chairs grinning. Feel free to ask about our professional backgrounds. 4. We strive for ethical practices. This means using a majority of paints that aren't tested on animals; cutting down on waste by using electronic contracts and payment; providing non-profit discounts; and buying our supplies from small, local distributors. We're a small business, but we have a big heart! Marissa Blaszko Owner & Painter!